Plaxico’s moment of truth. Court Date March 31st is upcoming. Did he really shoot himself in the foot? 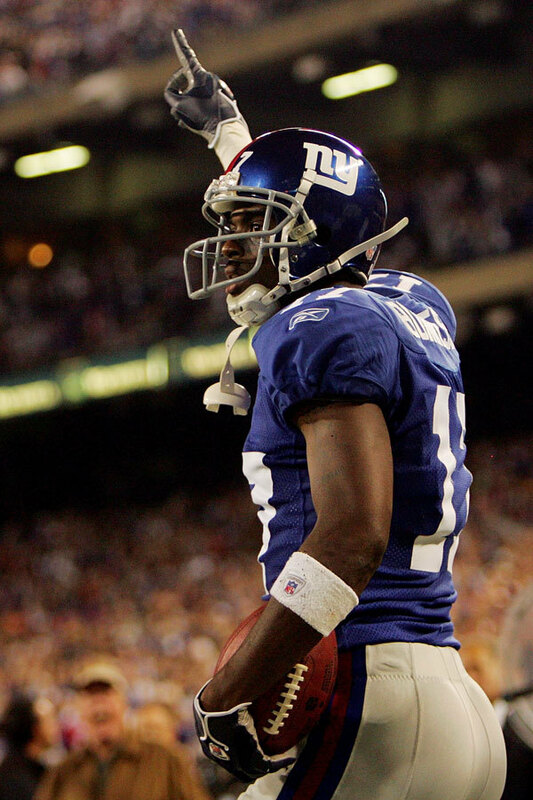 The saga of Plaxico Burress has been forgotten by the media this off-season due to the release of so many great WR’s, which include Terrell Owens, Joey Galloway, Marvin Harrison, Laveranues Coles and TJ Houshmandzadeh. The Plaxico story started last year, when the New York Giants Veteran Superbowl hero, Plaxico Burress, shot himself in the leg while partying at a popular New York City Club around the Mid point of last years NFL season. Outside of the fact that he shot himself, he was also carrying an unregistered firearm in the City of New York, a subject Mayor Bloomberg has been adamant about curbing. I feel as though Bloomberg had been waiting for a Black man to screw up given he could not jail Sean Combs for the Gun charges several years back. Bloomberg has changed the laws and now, conviently, a Black superstar is now in the line of fire to fall. Now Plax is at Bloomberg’s mercy in addition to the NYC Courts. Both bodies are looking for an example, is Plaxico the perfect one? In any other state, this would be a misdemeanor offense which would have serious financial penalties and forced community service attached to it. Yet, in New York City, Plaxico is facing 3 to 15 years in jail. I hope people realize that is just stupid. Guns don’t kill people, idiots with guns kill people. And since the New York State government thinks that their are too many idiots in New York, they find that gun bans and stiff penalties are the easiest way to deter criminals! Yet they forget to remember irreversable truth about murders and criminals is that THEY DON’T FOLLOW THE LAW! Yes Plaxico has put himself in a bad situation, and yes he really shot his team’s chances of a repeat last year in the foot, but one thing Plaxico has not done is made anyone else a victim. Plaxico is not a criminal and should not be penalized as one. Yet all Bloomberg sees is a chance to show the New York public what he can do to a black icon who chooses to own a gun. Plaxico’s trial will be held on March 31st and that will delegate how his rescheduled meeting with the NFLPA will go on April 1st. If Plaxico is incarcerated he will receive no money from the Giants or the NFL without a doubt. Him being cut immediately would be my assumption since it seems that the Giants are keeping thier distance from him at this point. Phil Simms seems to be the only person supporting the WR in public and he no longer has a termendous impact on the moves the New York Giants make. Bloomberg has taken away the Giants care and support by reportedly making threatening phone calls to New York owners. All I can hope for is that this young man gets a chance to keep on playing football and not in some prison upstate. For that reason Sportsroids.com will be in New York on March 31st, supporting Plaxico outside the courthouse with our official “Free Plax” T-shirts. You will be able to order these shirts through the site. When the page is up, I will post the link. Thank you all and Keep on roiding.